Blockchain's social and business impact is potentially enormous, but is the technology becoming a genuine force for positive change, or will it become just another passing fad? Seeking to answer this critical question, Doug J. Galen, a lecturer in management at the Stanford Graduate School of Business, launched an investigation into blockchain’s potential to transform various markets. His study analyzed a wide range of industries and sectors, including government, health, agriculture, philanthropy, energy, sanitation and education. Encouragingly, Galen's research project found that 60% of the blockchain initiatives currently in existence provide an improvement to existing solutions and 20% will be transformative to their industries. "Blockchain's potential to transform markets is substantial," observed Galen, who is also the co-founder and CEO of RippleWorks, a private foundation that aims to accelerate the growth of ventures whose products or services improves lives. Galen noted that blockchain's promise is rooted in four key promises: enabling transparency of information, making data immutable (tamper-proof), reducing counter-party risk in a transaction (and subsequently lowering the cost of payments), and efficiently creating and managing digital identities. "Since most industries, governments and public policies are built on facilitating payments, protecting data, and garnering public trust, the potential of blockchain to transform markets is as big as the Internet transforming access to information or mobile phones to connect people," Galen explained. Yet Galen also cautioned that blockchain's promise and potential can be fulfilled only if they can be eventually transformed into goods or services with real-world value. "That's what our research was grounded in, being able to better understand what the actual potential of blockchain can be, specifically when it comes to solving important social challenges that will have a material impact on people," he said. Blockchain is currently in a formative state, Galen acknowledged. "We are still in the early days, but the more we know and learn, the more we can regulate against the negative impacts and better champion the positive impact that blockchain can bring," he explained. "One of the interesting and inspiring findings from our research is that focused applications of blockchain can unlock solutions that drive social impact that otherwise wouldn't be possible, everything from giving digital identities to refugees in West Africa for the first time to making healthcare more efficient and accessible." Much attention is paid to blockchain's role in disrupting the financial services industry. Yet as Galen's research team catalogued and analyzed 193 blockchain initiatives dedicated to social impact, they found that the health sector had the most overall activity. "The health sector saw nearly twice as much activity (25% of all initiatives) than the next leading sector, financial inclusion: 13%," he noted. The researchers also found that democracy and governance initiatives are the furthest along of all sectors, with 62% of all projects expected to have demonstrated impact in the next six months. "Blockchain's potential to protect democratic governance is exciting, including making votes instantly traceable and countable to ensure fair elections and creating more trust in governments by ensuring citizens' data can't be incorrectly or illegally edited," Galen observed. Galen pointed to Estonia as a prime example of how a government can adopt blockchain to deliver more efficient and secure e-services to citizens while also supporting transparency. "Citizens can track all government-related transactions that use their personal information in an audit log, accessible through the state portal," Galen explained. E-Estonia’s website cites savings of 820 years of working time and two percent of GDP, thanks to the implementation of its blockchain-enabled services. 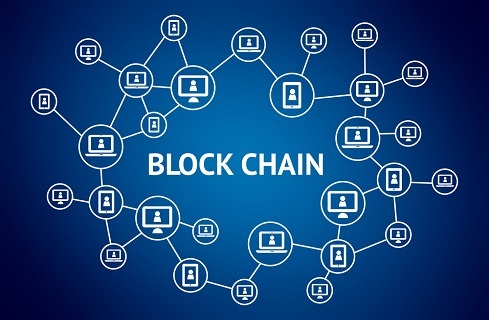 There's no denying the buzz, noise and hype surrounding blockchain, yet the technology isn't suitable for all organizations and applications. Blockchain’s impact is less about impacting industries and more around addressing the four specific needs of enabling transparency of information, making data immutable, reducing counter-party risk in a transaction and efficiently creating and managing digital identities. "Any industry that can leverage new solutions to these problems are the industries with the greatest value from blockchain," Galen explained. "We are in the early days, so it will be interesting to see blockchain's role in industries that are particularly difficult for it to disrupt," Galen observed. The energy sector, for example, will likely struggle to achieve meaningful blockchain adoption, considering the various regulatory and market restrictions it faces. Galen's research found that 63% of energy initiatives are not expected to see a demonstrated blockchain impact within the next two years. On the other hand, Galen believes that blockchain's social impact is set to grow rapidly. "If you ask the 1.3 million citizens of Estonia, they will likely tell you that the impact is already felt today," he said.